TODAY'S FEATURE IS BLOG #4061 - I wanted to mention that Elvis Presley would have been 81 years old this past weekend, (January 8th), had he lived on. I've posted a few blogs in the past about January 8th being Elvis' birthday, (# January 2010, January 2011 - #3319 ) and have been reading others tributes to Elvis since the 8th online. I wanted to mention one of the sources I found to be of much interest to me, as what I've been reading in it is very informative. 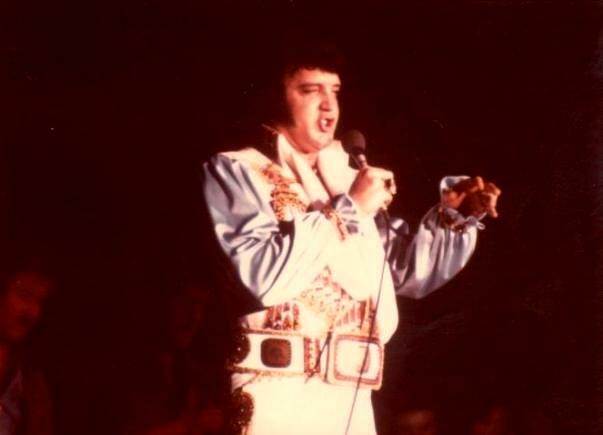 It is at: www.elvis-history-blog.com, and is written by Alan Hanson. The blog is published twice a month, and it goes back eight years. I found the blog titles fascinating and the 2,000 - 2,500 words in each blog makes fine reading! If you are a fan of Elvis, or just would like to know more about him... Check out Alan's blog! I've been playing many of my Elvis LPs during the last month... On the new record player I bought for myself for Christmas. Nice to have some thoughts about Elvis this week. 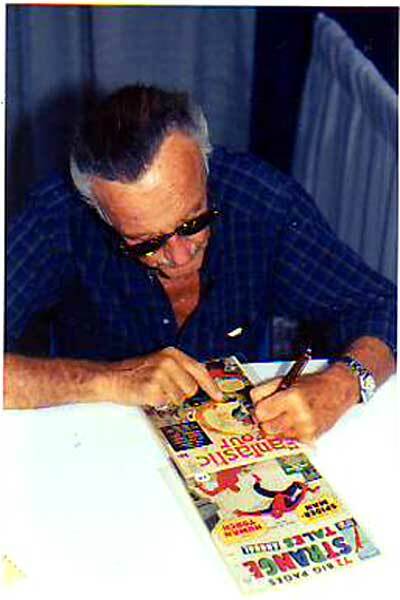 It does seem strange that he would have been 81 had he lived on... He passed away at age 42. TODAY'S FEATURE IS BLOG #4050 - Yes... 50 Years Ago this weekend came The Beatles to San Diego! They came for one night only during their tour of America back in 1965! The place the concert was at was the San Diego High School's Balboa Stadium! I was still up in Kodiak, Alaska where my Navy Dad was stationed, so I missed out on this event. But then again I was only 13 at the time, so the odds of me attending would have been plenty slim. The concert was NOT a sellout on this tour, as it was a surprise event, squeezed in before their scheduled event in Los Angeles at the Hollywood Bowl on August 29th & 30th. The schedule was called the 'North American Summer Tour'. There were a few sellouts on the tour, but at San Diego only 17,013 of the 27,014 available tickets were bought. The Beatles earned $50,135.17 for this performance, just a little over the $50,000 they were guaranteed in advance. The stadium therefore wasn't full, but for San Diego that was a huge crowd back in those days. In addition to The Beatles, the opening acts were Cannibal and The Headhunters, Brenda Holloway, Sounds Incorporated, and King Curtis. Ever hear of them?! BTW, most of the Balboa Stadium was torn down in 1979, so you can't even go back to where the Beatles performed! Oh,and you want to know what the backstage food and accouterments were? How about: two cases of soda, two tubs of Kentucky Fried Chicken, three portable TV sets, four cots and sets of clean sheets, five 1 gallon bottle of water and 24 assorted sandwiches! Total cost $33.06! Oh, and what does this have to do with comic books? Well, the Beatles were featured in several comic books over the years, as seen at this link. 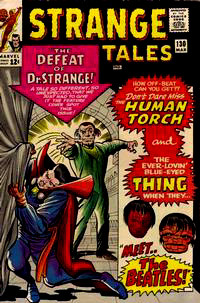 One of my favorites were when The Thing & The Human Torch met the Beatles as seen on the Strange Tales cover for #130 published March of 1965! And to think... It was 50 Years Ago This Very Weekend that the Beatles played in the Town of San Diego! For those of you near San Diego... On September 1st at 12:50 pm there will be: 'The 50th Anniversary' of the Beatles 1965 Balboa Stadium Concert at the Saville Theatre, San Diego City College, at 1450 C Street, Downtown San Diego. Admission is Free for the students and the public! In the addendum to that blog post, I mentioned I would additionally be blogging about certain panels / programs that I found to be interesting to me, and possibly to readers of this Blog. 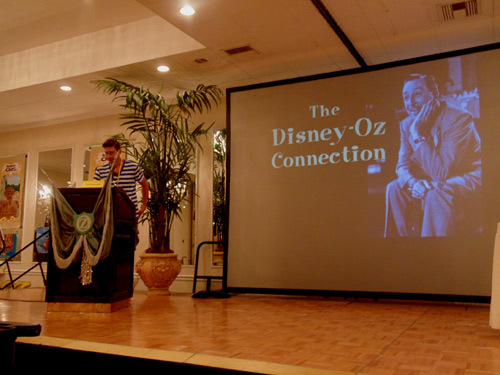 The first program I want to blog about is the one on Sunday, presented by Eric Shaower, titled 'The Disney-Oz Connection'. 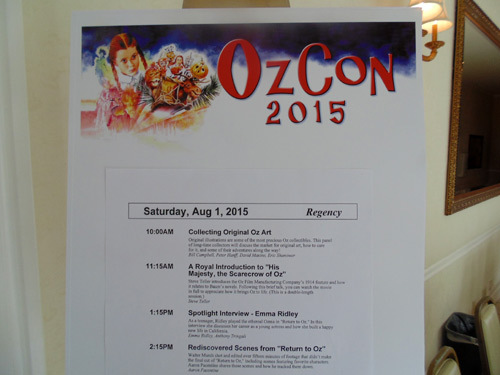 I saw the Disney film 'Return To Oz' this past weekend at Winkie Con. Twice. Once on Friday and then again on Sunday morning with three persons that had been in the film or produced it. Emma Ridley who played Ozma, Justin Case who played the Scarecrow, and Paul Maslansky who was the producer of the film. Other than that, I was not aware of any Disney-Oz connections. Well... Eric's program showed what there was of that connection! The connection goes way back! The program ran for about an hour. I videotaped the first half hour of the talk w/slide show presentation. That video can been seen at this link on my YouTube channel. My camera ran out of battery power at that point and I decided to not video tape the rest of the presentation. Photos of the rest of the presentation can be seen in my Sunday photo album from Winkie Con, at this link. Eric did a great job in researching this topic and his verbal talk along with the slide show was very interesting, even to someone like myself who is somewhat of a 'newbie' to Oz history. I did not know of all the history between Disney & the World of Oz, so this was a great presentation for me on Sunday. My thanks to Eric Shanower for his presentation! And again, here is the link to the half hour video on Eric's presentation on my YouTube channel. The 51st Winkie Con / Oz Con! TODAY'S FEATURE IS BLOG #4042 - I am back from the 2015 Winkie Con (newly renamed to OzCon), which ran this past weekend, July 31st thru August 2nd! 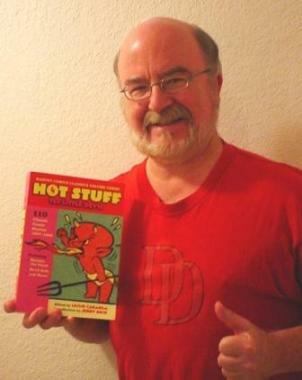 As mentioned in blog #4041, I attended the 50th Winkie Con last year, and blogged about it at this link, (blog #4012). I also blogged about Batton Lash interviewing the Wicked Witch, (blog #4013), which features a pretty darn funny video! So this year was the second year I've attended this convention. As per last year, registration at the con was smooth. Thanks to Jack Plummer and others who ran this department! I've attended other cons at this location, as it is quite popular with the smaller conventions. (Town & Country Resort.) Also it is all centrally located at the East side of the resort, which is by the rooms that Resort rents out to con attendees. The nice thing about this con is that there is a Meet n Greet at 9:30 am the first day, and then a 'welcome' program in the main hall before attendees go to the individual track programs. That is very good. There was a mention at the Con Wrap Up program that they are thinking about having a 'First-Timer' program to assist those attending the first time at this con. That would be helpful! There were enough program tracks to keep me busy Friday and Saturday. However, there was, (in my opinion), too much time allowed inbetween attending different programs. Ten minutes would be enough since the con rooms are quite close together. Having 40 minutes between programs was a bit too much. There were a few programs on the 40th Anniversary of The Wiz, and the 30th Anniversary of 'Return To Oz'. I've not seen either before this con, and took in Return to Oz on Friday, and then followed it up by viewing it again with several stars of the film on Sunday in the 'Live' program. Once again I was fascinated by the programs / panels that I attended. I read most of the L Frank Baum books when I was in high school, but none by the other Oz authors. I've only seen the 1939 MGM Wizard of Oz film, so I'm not totally a 'newbie' to Oz, but also not a fanatic. This year's convention, as well as last year's, kept my attention for the most part with entertaining programs / panels / dealers room / Oz book room / Oz research room. There was a few mentions of 'communal meals' again at the Con Wrap Up. The old timers to this con missed the fellowship of eating meals together. You see, the attendees of the earlier cons were at locations that had this feature. The only two meals together were the cookout on Friday night, and the Banquet on Saturday. For me, that was enough. 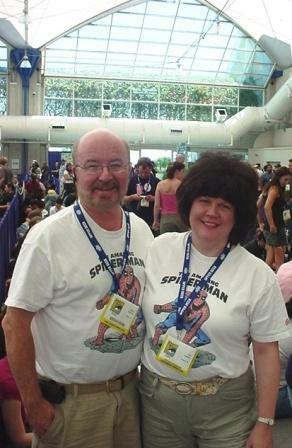 Still, this was only my second year attending this con which has been running for 51 straight years. I can see the old timers point, but I would rather have more panels / programs instead. Other than a few programs starting later than listed, the con ran pretty smoothly. I had a good time although like I said, I'm not an Oz Fanatic. I'm sure that you would enjoy attending this con if you only had a passing interest in Oz. Next year's con will be in Portland, Oregon. The first time in 52 years that the con has moved outside of California! So... That's My Take on this year's Winkie Con / Oz Con! For those of you in the Pacific Northwest, I'd suggest taking a look at next year's con schedule / event page. With the con being in Portland, Oregon next year you can take advantage of it being closer to you. Oh, and this year's con had attendees from as far away as Australia and the East Coast of the USA, so all Oz fans are welcome to attend! Addendum: I'll be blogging and uploading videos from certain panels / programs from this Winkie Con in the days / weeks to follow. Just read this blog and see my Facebook Fan Page as items are posted. Next Weekend... 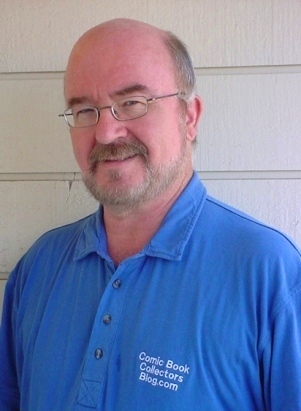 The 51st Winkie Con / Oz Con - Which is in San Diego! Next Weekend Is The 51st Winkie Con / Oz Con! TODAY'S FEATURE IS BLOG #4041 - I've been so busy celebrating my Birthday that I almost forgot to blog about the upcoming Winkie Con / Oz Con that is taking place in San Diego next weekend, July 31st thru August 2nd! I attended the 50th Winkie Con last year, and blogged about it at this link, (blog #4012). I also blogged about Batton Lash interviewing the Wicked Witch, (blog #4013), which features a pretty darn funny video! 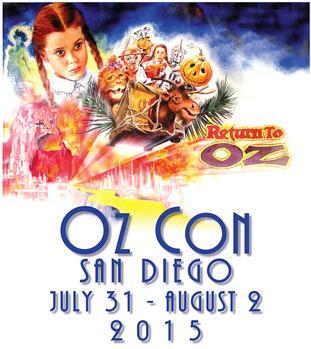 So yes, I'm familiar with Winkie Con, which is changing its name to Oz Con this year. I'm attempting to attend most of the three days the convention is running, and suggest you take in at least one day if you are in Southern California. One day tickets will be sold at the door, or multiple day tickets. The online purchasing availability is already closed. So... I'm letting you know that you don't have to be a Wizard of Oz fanatic to enjoy going to this convention. Last year was the first Winkie Con I ever attended! As a kid I had watched the Wizard of Oz film with Judy Garland several times on TV, and had actually read many of the Oz books by L. Frank Baum. But a fanatic about Oz? 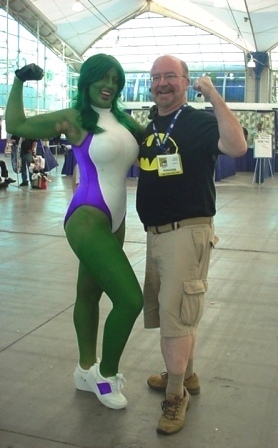 No, and I still had loads of fun at the 2014 Winkie Con. I'm sure you would enjoy at least a day at this con at the centrally located Town & Country Resort in the Mission Valley area of San Diego! Thanks for reading, and I hope to see YOU there!